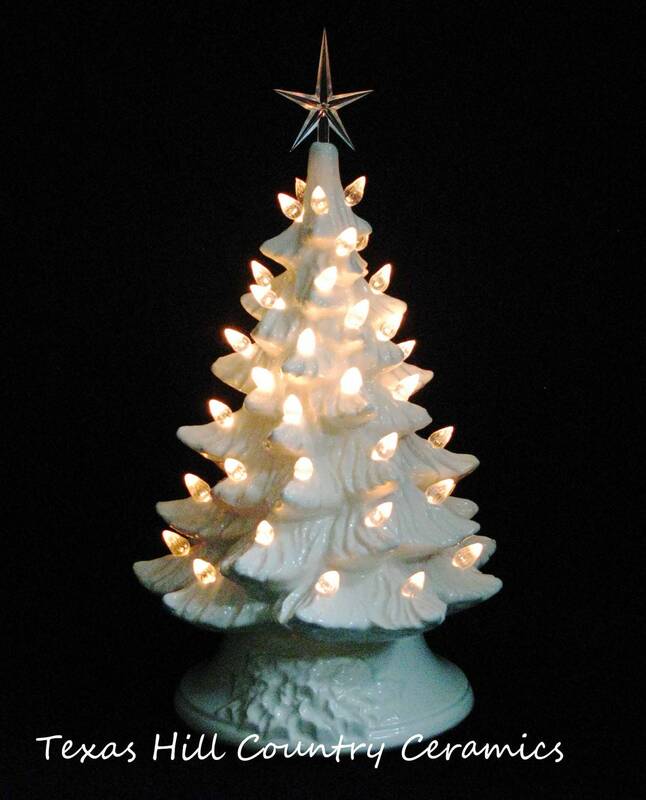 This winter white ceramic Christmas tree with clear lights is sure to bring warm memories each holiday season. 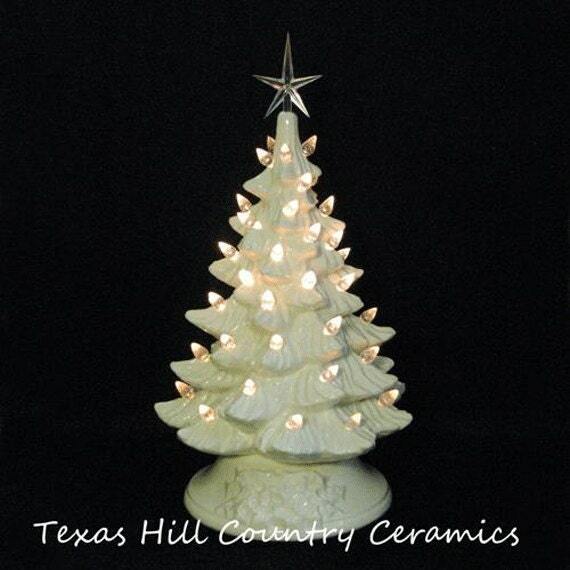 This winter white tree is decorated with clear lights and topped with a clear star. The total height of this tree (including the base, tree section and star) is approximately 11 1/2 inches. 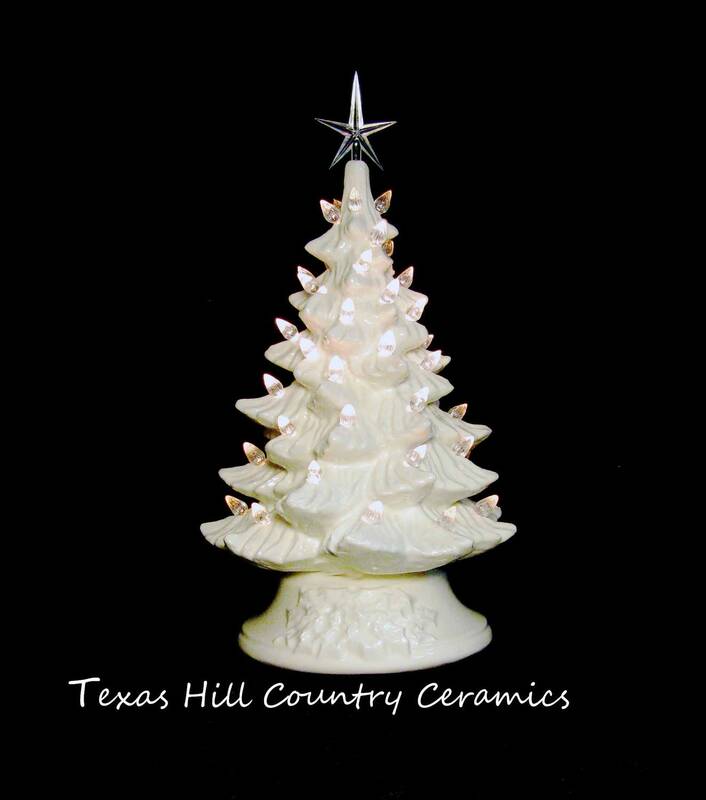 This ceramic Christmas tree can also be used as a centerpiece for a wedding or anniversary celebration. 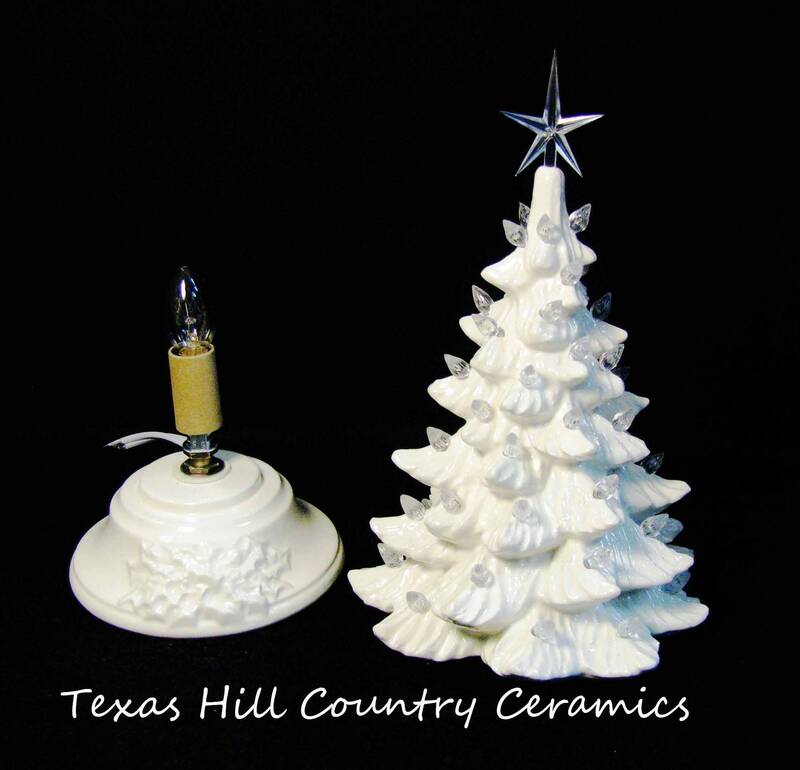 The tree and base is finished in milk glass white glaze and decorate with clear lights and star. The base is wired with a UL approved candelabra light fixture and 6 foot white cord with a dial switch and plug standard for electrical systems used the USA. Includes a 15 watt light bulb. This tree will arrive ready for you to set up and enjoy in the years to come. 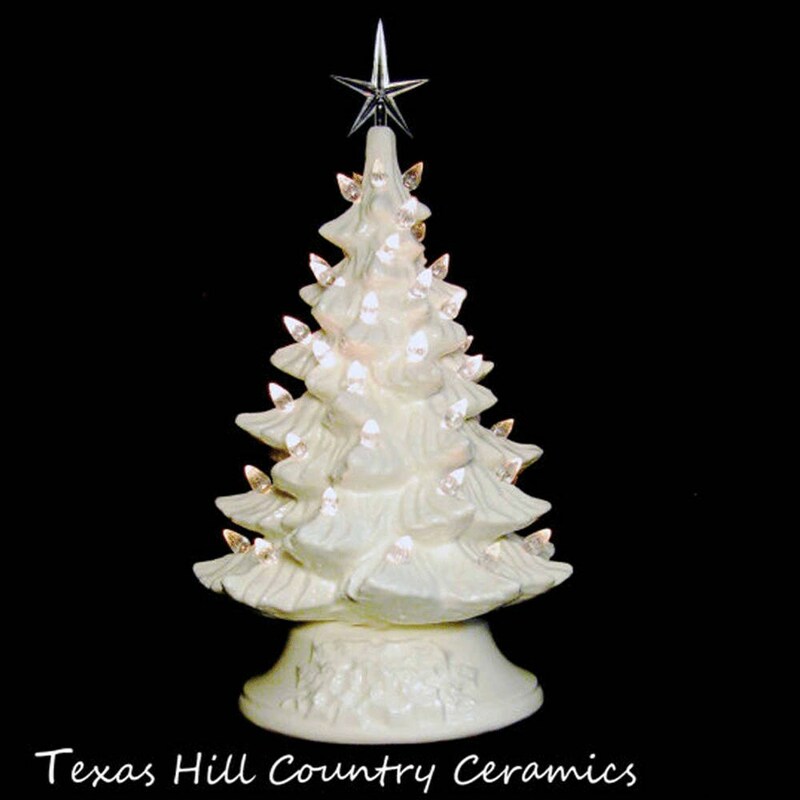 This ceramic Christmas tree is made in the heart of the Texas Hill Country by Texas Ceramics. Absolutely beautiful. Thank you Jacque. The tree was packed so no damage would happen and it was shipped very fast. Questions were answered quickly. One of my favorite purchases from Etsy.